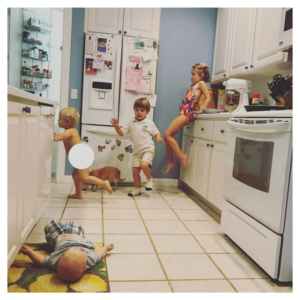 Recently, my neighbor shared this awesome picture of her kids while she was preparing dinner. That’s right, she has 4 kids under the age of five. I love when parents use social media to show the realness of parenting and not just the glamorous filters that can leave us feeling inadequate. Being sleep-obsessed, I immediately thought “how does she manage bedtime and sleep? !” The answer is: she runs a tight ship. Whether you have 1 child or 4, you know that bedtime can either be sweet and cuddly…or exhausting and drawn-out…or efficient. I asked my neighbor to write a guest blog explaining how she manages to have 4 GREAT SLEEPERS. Y’all. I’m talking about a 3-year-old and a baby. She went on to explain why and it’s so true. You need to start off with minimal routine because, inevitably, one day they will have one and you don’t want it to pile up so large that it takes over an hour just to put your child to sleep. Do you know how many times I have babysat kids where it’s a laundry list of bathing, brushing, 6 books, singing songs, back rubs, cuddling in bed etc. all finished off with sneaking out of the room like some Navy SEAL in the night. NO THANKS. We have now successfully conditioned our children to roll with the punches. I can say “go to bed” at any point in the day and they will do it. Sometimes we read. Sometimes we sing. Sometimes we LITERALLY skip everything including putting on pajamas and shut the door. I never claimed to be mom of the year but I can tell you we get our sleep. This leads to point number two I learned pre-baby. STOP READING. Seriously. Stop it. At least when it comes to whatever the expert of the month has to say about the new way you should parent. Talk to REAL parents old and new. Every single child is different. You don’t have to take their advice, but you should listen. You never know what parts you can pull out of your pocket one day. The day I went to the doctor to confirm my pregnancy I received multiple books on “what to expect.” Uh…I believe I’m expecting to give birth and have my world turned upside down like a BILLION people before me have. I don’t need to read a bunch of books that quite honestly complicate a non-complicated action. Baby books are like Facebook, they give you one perspective on someone else’s experience and you often come away feeling worse about your own. Take a deep breath. Everything will be ok.
On to point number 3. Watch the documentary “Babies”. It follows 4 women in 4 different countries from the time their babies are born to when they are destructive toddlers. It was a huge eye opener for us. We realized that babies are TOUGH. We, as a human race, are MEANT to survive. You want to talk about 1st world problems? I think we are one of the only countries where we have problems putting our kids to sleep. We overthink things WAYYYYYYY too much. Kids are simple really. They need to expel all their energy! Kick them outside. Give them a piece of paper and a crayon. Keep it simple. Sleep really does beget sleep but only if you start that way. Stay firm and stop coddling. There is plenty of time during the day to smush your kids with snuggles and kisses. Parents need their sleep. How else are more babies made? Kidding. Sort of. So, specifically what is our typical day like in terms of sleep? Here it is. 12:30 p.m. 3 and 2-year-old sleep for a minimum of 2 hours. 6:00 p.m. infant goes down. 7:00 p.m. 5, 3, and 2-year-old go down. PJ’s, brush teeth, and 1 book each. Goodnight. Shut the door. In conclusion, here is my advice…which you are free to completely dismiss: I think the problem most people have is that they have let their kids dictate how things are run. And it’s addictive because they are happy in that moment when you, the parent, gives in. Adults fear they will traumatize their kids somehow by changing anything. But kids are resilient. They are adaptable. And most importantly, you are their parent and they really do look up to you. You function better well rested and so do your kids. It’s a win-win. Cut down the length of the routines and never linger. Stick to your guns and don’t complain when you don’t and things derail. Don’t overthink and don’t be so hard on yourself. Trust me, when you see that little Mongolian baby in the movie sleeping with a chicken jumping on his head, it should give you some perspective. I love getting a peak into another family’s day. 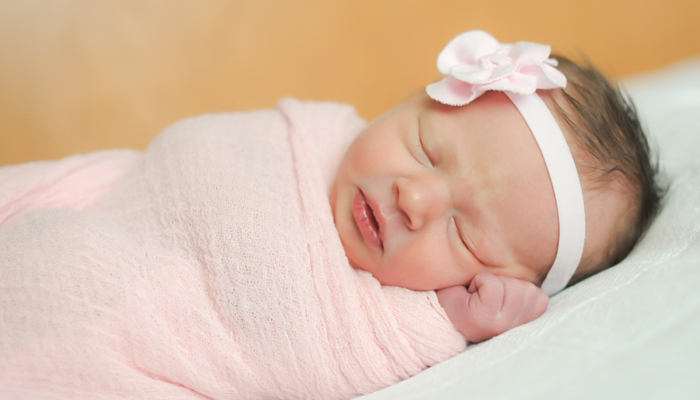 As a sleep consultant, my philosophy is do what works for your family. There is no right or wrong. When it’s not working, or you’re exhausted, or desperate, it’s time to reach out.